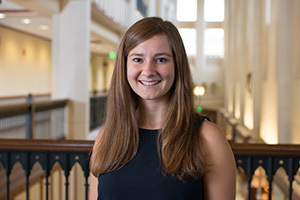 Doyle is a biological sciences major with a minor in international peace studies and is a participant in the Hesburgh Program in Public Service, the Glynn Family Honors Program and the Hesburgh-Yusko Scholars Program. “I want to congratulate first of all Grace and Alexis, but also the faculty here at Notre Dame who taught them and the staff of the Flatley Center for Undergraduate Scholarly Engagement who put in countless hours assisting Grace. Alexis and our other candidates for the Rhodes and other scholars’ programs,” Father Jenkins said. She plans on pursuing a doctor in philosophy degree in school-legal studies at Oxford. 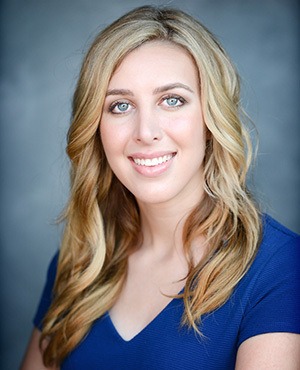 She hopes a graduate degree in law and philosophy will position her as a credible force for change and allow her to further study the “unexplored intersections” between philosophical topics such as forgiveness and moral agency and Title IX reform.